Join Us For our 2018 White Hat Ball – Save the Date! The White Hat Ball Committee are delighted to invite you to attend the thirteenth annual White Hat Ball on 26th January 2018 at the Lancaster London hotel near Hyde Park. This sparkling highlight of the Cyber Security and Information Risk industry calendar is the place to catch up and have a great night out with industry colleagues, while giving back to a really important cause. We will kick the evening off with a champagne reception followed by a sumptuous three course dinner and you will have the opportunity to win amazing prizes in the White Hat raffle and to bid on incredible lots in both the grand and silent auctions. Live music and dancing will continue into the early hours, so come along and let your hair down! This year we have two types of table on offer including Platinum tables of 10 for £2,950 (including premium positioning in the room, and a full page advert in the programme) or Gold tables of 10 for £1,950. We welcome all forms of support to help us make the Ball a big success. Please do get in touch if you can help us with prizes or if you want to promote your brand at the event through advertising or sponsorship. 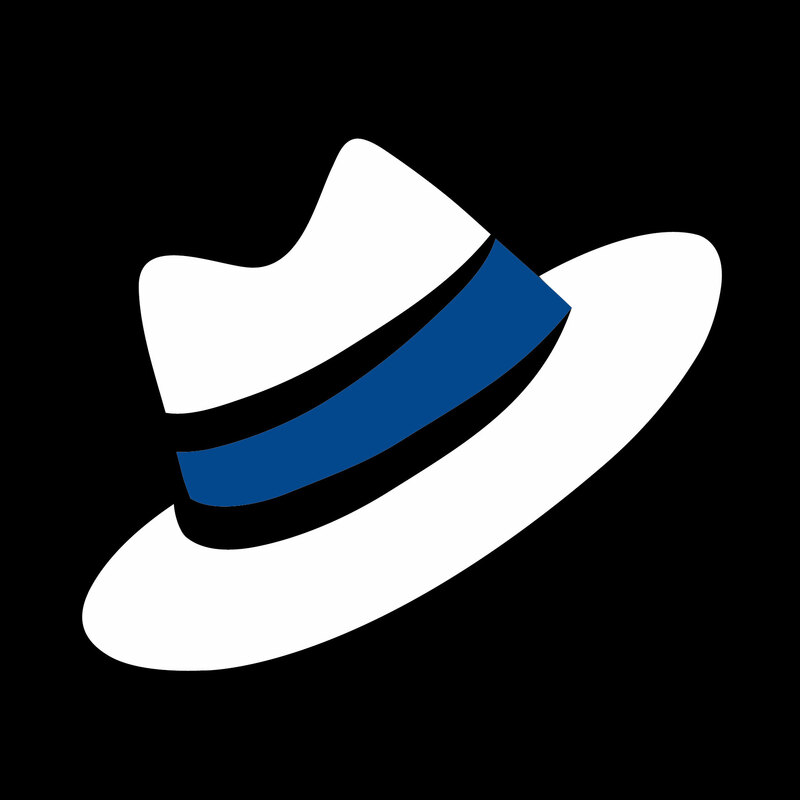 Visit the White Hat website for more information. Follow us on Twitter for event updates and request to join the LinkedIn group to be part of the community. You can help NSPCC Childline be Superdrug’s next charity partner – worth at least £4 million over 4 years! All you need to do is vote NSPCC on their Facebook page and share with your friends today. Your vote will support NSPCC’s goal to be there for every child who needs help from Childline. Right now Childline can only answer 3 out of every 4 children who contact Childline, but with your support this can change. Winning this partnership would allow NSPCC Childline to answer 1 million children and young people who desperately need their help, giving them someone to turn when they need it the most. Superdrug’s support over the next four years could make a huge difference to children, and really help NSPCC Childline let young people know that there is somewhere to turn when times are hard. Make sure you vote today – it’s only open until the 21st of August and your vote means NSPCC Childline will be in with the running to be shortlisted for the main vote in December this year. Together, we can win a partnership that will give hope, change attitudes and keep a generation safer. White Hat Ball 2018 – tables and sponsorship are now available! After an absolutely incredible White Hat Ball 2017, in which the information security industry came together for a record-breaking annual bash, and raised over £213,000 for the NSPCC’s ChildLine service, we are thrilled to launch the White Hat Ball 2018! Taking place on Friday 26th January 2018 at the gorgeous Lancaster London, we know that tables and sponsorship will go quickly as usual so don’t miss out secure your tables and sponsorship today! You can also join us at to our upcoming sponsor evening which takes place on Thursday 13th July, at Deloitte, from 6pm. RSVP to Sarah.Jeffery@nspcc.org.uk to reserve your place on the guest-list. The £213,000 raised at the 2017 White Hat Ball will enable Childline to help over 50,000 children get in touch with a counsellor and with your help, we aim to raise even more in 2018 so that no child looking for help goes unheard. So, here’s to another fantastic event and we look forward to welcoming you all to the ball in 2018! Flaw in the Law Fixed! In October 2014, the NSPCC launched Flaw in the Law, a campaign to call for a clear new offence that would make it always illegal for an adult to send a child a sexual message. When the NSPCC launched the campaign, over 80% of people said this should be illegal, while 3 out of 4 adults thought it already was (YouGov, October 2014). Over 50,000 individuals signed a petition and wrote to the Minister for Online Child Protection calling for a new law. The law was passed as part of the Serious Crime Act (2015). It’s now a criminal offence for an adult to send a sexual message to a child. However, because the law wasn’t given a start date, police couldn’t charge people with the offence in England and Wales. It wasn’t easy, but by putting pressure on Government the NSPCC and its supporters has made sure thousands of children will be protected from sexual abuse every year with the anti-grooming law becoming enforceable from April 2017. Help the NSPCC to continue to make the internet a safe place for children, and make sure children get the right support after abuse. A record-breaking £198,000 was raised for Childline at the annual WhiteHat Ball which took place at London’s Lancaster Hotel on Friday 27 January. As more young people are turning to Childline for help about issues they are encountering online the support given to the charity by the information security industry is becoming increasingly relevant. Last year there were 11,253 Childline counselling sessions carried out with children and young people about online issues such as sexual abuse, bullying and safety. “I’d like to say a huge thank you to Clive, the WhiteHat Ball committee and the information security and risk industry for their support over the last 12 years. The money they’ve raised will help to make sure we can be there for every young person when they need us the most. 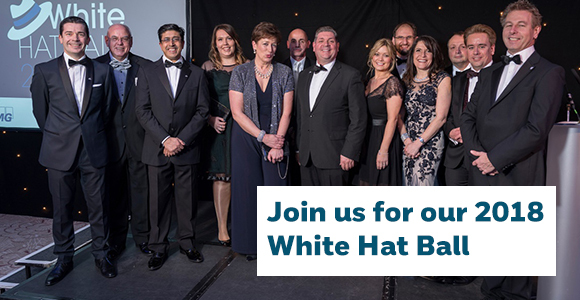 The WhiteHat Ball would not be possible without the support of the information security community and we the committee would like to personally thank each and every one of you for your generosity and support over the last 12 years. This support has enabled us to raise in excess of £1.2 million for the NSPCC’s Childline services which is quite phenomenal! We look forward to seeing you all at the next WhiteHat Ball, date to be announecd shortly, and don’t forget to keep an eye on our website for other events and fundraising opportunities throughout the year. With the WhiteHat Ball 2017 just two days away, we thought we’d treat you to a preview of the silent auction items that will be up for grabs on the night. We will also have a selection of very exciting live auction items that will remain top secret until #WHB17 opens its doors – get your bidding hands ready, it’s going to be an exciting night! Terms and conditions apply to some auction items. Full terms and details will be available on the night.